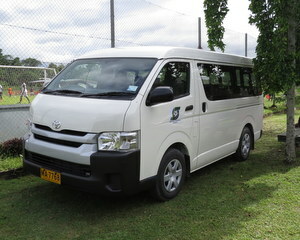 The bus was paid for at the cost of USD$50 000 funded by the FIFA Performance Project which SIFF applied for in 2014. It is anticipated that the bus will be used to support SIFF with the hosting of FIFA courses and other programs this year. Neil Poloso, Chief Executive Officer, of SIFF, says that SIFF thanks FIFA for the support and that the bus will play an important role in local football activities. “On behalf of SIFF and its members, I wish to thank FIFA for recognising our needs and continuing to give us the support we need to become a stronger professional institution,” says Poloso. SIFF has also received 860 footballs from another component of the FIFA Performance Program which are currently being distributed to its member associations.